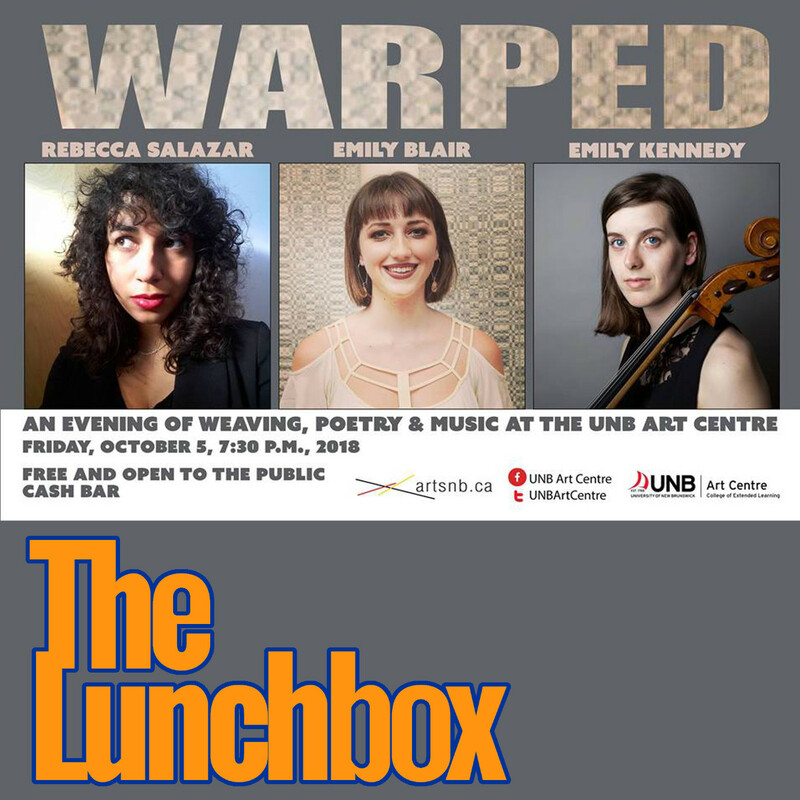 My guests today are Emily Blair (weaver) and Emily Kennedy (cellist/composer), two-thirds of the artists behind a new collaborative art project called Warped. The project combines weaving, poetry and music in a unique artistic challenge to reflect each art in the other. 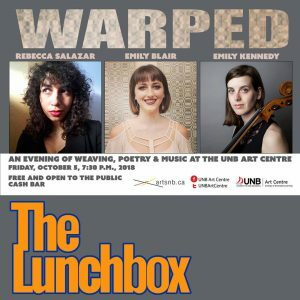 Warped takes place at the UNB Art Centre in Memorial Hall on UNB Campus on October 5 at 7:30pm.